Automating objective assessment of surgical technical skill is necessary to support training and professional certification at scale, even in settings with limited access to an expert surgeon. Likewise, automated surgical activity recognition can improve operating room workflow efficiency, teaching and self-review, and aid clinical decision support systems. However, current supervised learning methods to do so, rely on large training datasets. Crowdsourcing has become a standard in curating such large training datasets in a scalable manner. The use of crowdsourcing in surgical data annotation and its effectiveness has been studied only in a few settings. 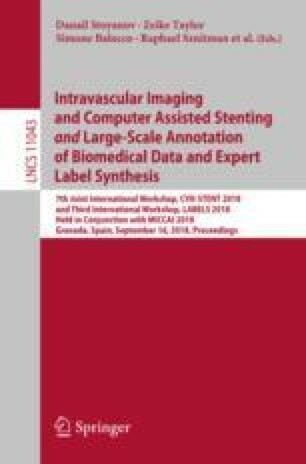 In this study, we evaluated reliability and validity of crowdsourced annotations for information on surgical instruments (name of instruments and pixel location of key points on instruments). For 200 images sampled from videos of two cataract surgery procedures, we collected 9 independent annotations per image. We observed an inter-rater agreement of 0.63 (Fleiss’ kappa), and an accuracy of 0.88 for identification of instruments compared against an expert annotation. We obtained a mean pixel error of 5.77 pixels for annotation of instrument tip key points. Our study shows that crowdsourcing is a reliable and accurate alternative to expert annotations to identify instruments and instrument tip key points in videos of cataract surgery. Wilmer Eye Institute Pooled Professor’s Fund and grant to Wilmer Eye Institute from Research to Prevent Blindness.